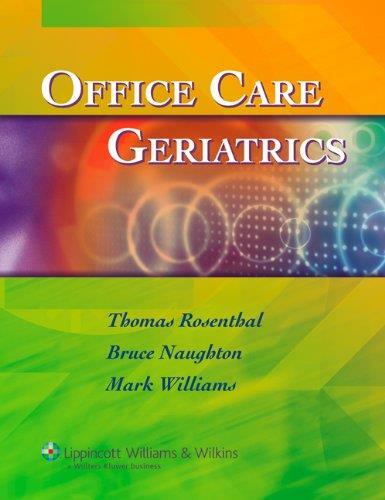 This practical, ready-access reference provides clinicians and students with evidence-based strategies for the care of older patients. The book is organized to yield quick answers to questions arising during the patient encounter. The contributors offer pragmatic management guidelines appropriate for the complexities of multiple problems and advanced age, and emphasize a disease management approach.